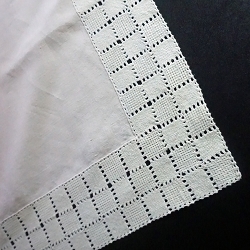 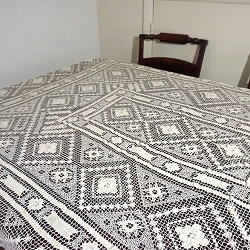 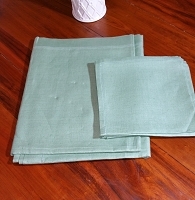 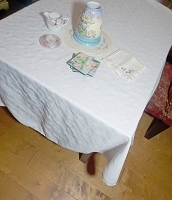 Not exceptionally old but very pretty chestnut colored oblong tablecloth 96 x 84. 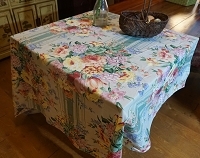 Polyester blend for easy cleaning, and it's reversible to look like an updated damask style. 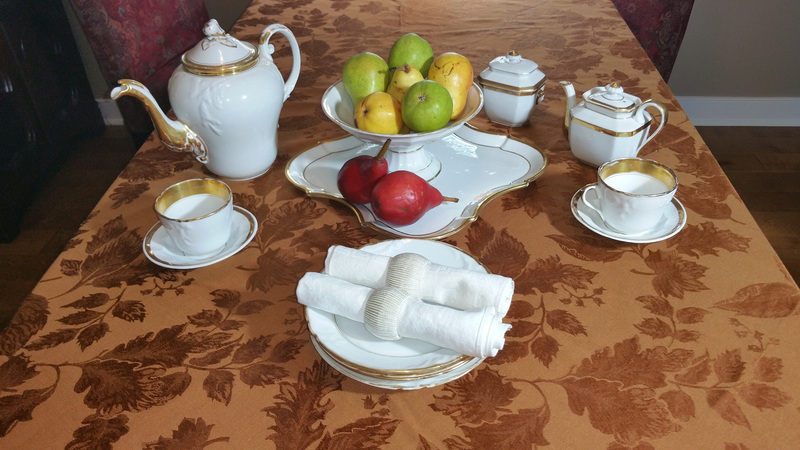 Excellent condition; wouldn't this look nice for your Thanksgiving dinner?